WHAT?! Where did November go and by the by, is anyone else creeped out when hearing Christmas carols in shopping centres IN NOVEMBER???? All in all, November, you have been a fun month. You’ve been there for my Finders Keepers market debut, my very first hands on clay workshop, my first BrisStyle Big Bazaar experience, a few hospital visits, dropping off my wares for the first time to a cafe and I’ll never forget witnessing my nephew’s first steps. The ute is packed after a weekend that exceeded all expectations! Considering we’re almost at the end of 2014, that’s a surprising number of firsts don’t you think? I’ve been working really hard since Finders Keepers, keeping on top of orders and enquires as well as trying to get some new items made. There’s a kiln full of glazed wares firing as I type with some new items, hopefully making their market debut at Friday’s BrisStyle Twilight Market (King George Square from 5pm). I’ll also be heading back to Handmade Redcliffe the next day – please note that there are new operating hours – 9am to 4pm! Really looking forward to being back on the Peninsula. Don’t forget that tomorrow is the last day to place a custom order for Christmas! Next week, apart from making the new orders that’ll come in, I’ll be stocking up my retailers with new wares as well as getting some new listings up in my etsy store – including the new Christmas decorations! If you’ve seen something at a market but can’t find it in my etsy store, just shoot me an email to see if I have any in stock. Finally, after a long day of glazing and preparing wares for firing, I logged into instagram and these three customer photos were tagged for my attention. It made me so happy to see that these items are well loved and in use/soon to be in use. It made the long day seem much shorter and helps me look forward, even more to open the kiln door after the firing! Previous: Previous post: Finders Keepers SS14 kicks off tomorrow, 10am! 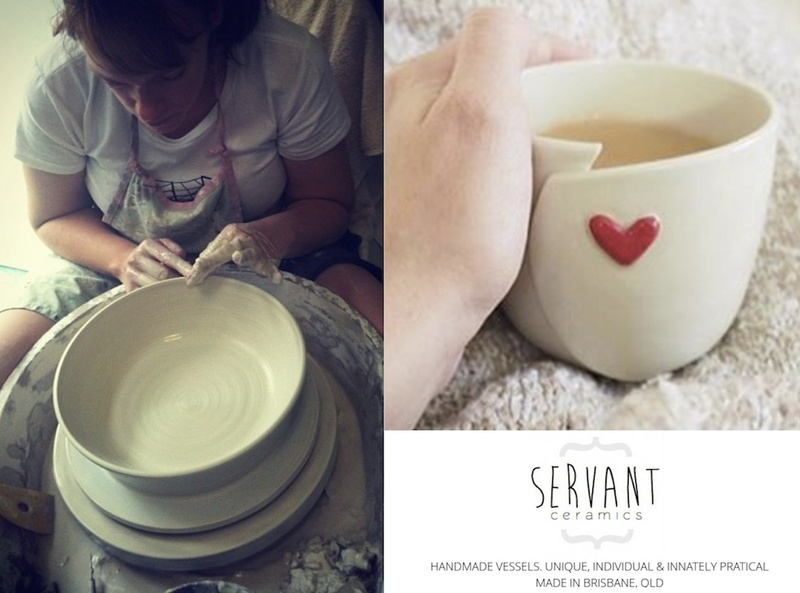 Next: Next post: New look website for Servant Ceramics!